Call Us. We'll Get it Done! "Sand Bag. You cannot do without sandbags. The sandbag has not changed for years on film sets. No HighTech here! Hold down stands and just about anything else on a film set. Need plenty of these for safety. Never want to shoot in Miami, Fort Lauderdale or Florida without plenty. 25 lbs, 35 lbs, will hold down large lights, grip gear, camera equipment for crazy rigs. Also handy for securing set walls for events and theater." Sand bags come in a variety of shapes and weights. They are used for securing the bases of light stands and set walls. Many have handles, for hanging on hooks or risers. Some have two wings, to allow draping over light stand legs. Most are cordura nylon, some are vinyl covered and waterproof. Some models of sandbags are shipped empty, for convenience and economy. They can be filled with sand, or any type of weight you provide, and emptied for storage, or transport. • Shell is cordura nylon. It has two wings and a handle. Moving Picture Rental is your leading South Florida production partner, here to satisfy all your video production rental needs. Whether you are looking for a Florida camera crew, or looking to rent a lens or digital cinema camera package, Moving Picture has the best equipment in stock and ready for pickup. 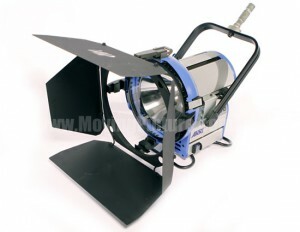 Moving Picture Rental can also provide a full grip truck rental or just a basic grip and lighting rental. All jobs big or small, Moving Picture Rental is here to service you! Proudly serving Miami, Miami Beach, Fort Lauderdale, West Palm Beach, Naples, Fort Myers and surrounding areas since 1987.